Welcome to Muley Monday of The Rich Outdoors. Today we have one of the most under the radar killers out there. I think we say that a lot but I am pumped to chat with Scott because, in my opinion, Scott is one of the most Dynamic Mule deer hunters in the woods. It doesn’t seem to matter what weapon, what terrain, or what time of year Scott pulls buck after buck off the mountain or flats. In this episode Scott shares some great hunting stories and what separates him from the average hunter. Like most under the radar guys, Scott is almost too humble to tell you but we pull out some really good tips. I know I pulled a few things I hadn’t thought of out of the conversation. This was a great podcast for me as I think it re-affirms a few things that I needed fresh in the memory bank as I head off to find a buck at the tail of a hard storm. Welcome to Muley Monday! Today I am joined by Devin Leonard who has shot more 200 inch bucks than I have ever seen. This podcast turned out Awesome! Devin did a great job of really explaining how he thinks about big bucks and really goes into what it takes to find and harvest giant bucks. Devin Might be the luckiest guy I know when it comes to drawing big tags. 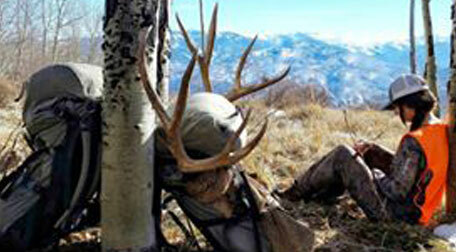 After winning a great elk tag at the Western Hunt Expo, he ended up pulling a Statewide deer tag for Nevada this year. We talk about the struggles of having an entire state to hunt though I don’t think anyone feels bad for Devin. Devin also tells the story of a buck named “Radic” that he spent of 60 days hunting before getting a chance to release an arrow. The Radic buck is a huge accomplishment and really a testament to hard work and determination. Devon is also the guy behind iSocial boost. You have probably heard ads for iSocial Boost on Muley Monday podcasts before. Well, Devin is the guy behind that making it all happen. If you haven’t heard of it, iSocialboost is an Instagram growth tool that can help you grow your tribe in an organic way. This means which means you are getting real followers, followers that actually fit with your brand. We have been running it for a few months now and our backcountry fuel box Instagram is over 10k followers. If you are interested in growing your small business or just want to grow your personal brand head over to iSocialboost.com and tell Devin you wanna try it out. Use the Code TRO and get 80% off your first week. They are so sure you will love it that they are basically giving it to you for free. Muley Monday has been on a roll this year, and this episode is right up there with my favorites so far. I finally got the chance to chat with Travis Roundy aka Deer-be-dead and the conversation definitely did not disappoint. Travis has forgotten more than I will ever know and has a skill for harvesting absolute giants. 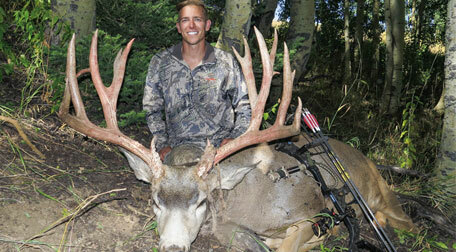 Travis is on a whole other level when it comes to big bucks and shares some true secrets to how he finds so much success. This podcast single-handedly got me excited for mule deer season as Travis has so many great stories to tell and tells them so damn well. We also talk about the lost art of big buck tracking and how he used tracking to track down a 32″ wide buck after his daughter, unfortunately, missed on her first shot. If you like Big bucks this is a MUST LISTEN to podcast. For those Elkoholics like me, let me warn you this podcast may just make you want to find a big ol’ Muley buck in a snowstorm. This episode brought to you by iSocialboost. iSocialboost is an Instagram growth tool that can help you grow your tribe in an organic way. This means which means you are getting real followers, followers that actually fit with your brand. Instagram such a great way to get your small business or your personal brand out to the world and I highly recommend anyone looking to do either get serious about growing their reach. If you are interested in growing your small business or just want to become an influencer in the Outdoor industry head over to iSocialboost.com Use the Code TRO and get 80% off your first week. They are so sure you will love it that they are basically giving it to you for free.